“WalletPRO” is a complete solution for an online payment gateway. 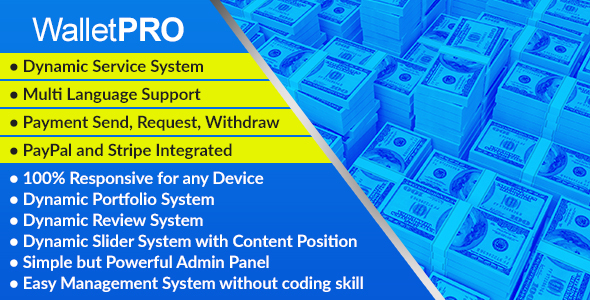 Client can use this system for send and receive money from other clients. In every transaction and withdraw the system owner will get a profit from the clients. This CMS Includes almost everything you need to make an online payment gateway.